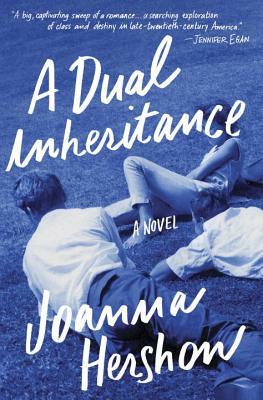 For readers of "Rules of Civility" and "The Marriage Plot, " Joanna Hershon's "A Dual Inheritance" is an engrossing novel of passion, friendship, betrayal, and class--and their reverberations across generations. Autumn 1962: Ed Cantowitz and Hugh Shipley meet in their final year at Harvard. Ed is far removed from Hugh's privileged upbringing as a Boston Brahmin, yet his drive and ambition outpace Hugh's ambivalence about his own life. These two young men form an unlikely friendship, bolstered by a fierce shared desire to transcend their circumstances. But in just a few short years, not only do their paths diverge--one rising on Wall Street, the other becoming a kind of global humanitarian--but their friendship ends abruptly, with only one of them understanding why. Can a friendship define your view of the world? Spanning from the Cuban Missile Crisis to the present-day stock market collapse, with locations as diverse as Dar es Salaam, Boston, Shenzhen, and Fishers Island, "A""Dual Inheritance" asks this question, as it follows not only these two men, but the complicated women in their vastly different lives. And as Ed and Hugh grow farther and farther apart, they remain uniquely--even surprisingly--connected. "The best book about male friendship written this young century." --"Details"
" A] warm, smart, enjoyably complex novel . . . Both Hugh and Ed are lonely searchers . . . and Hershon's] skill in rendering each of them as flawed individuals is what makes the novel so readable and so rich. . . . "A Dual Inheritance" is an old-fashioned social novel that feels fresh because of its deft, clear-eyed approach to still-unspoken rules about ethnicity, money and identity." --"San Francisco Chronicle"
"An absorbing, fully-realized novel . . . Hershon] renders the book's many locales with a nuanced appreciation for the way environment emerges out of the confluence of physical detail and social experience. . . . "A Dual Inheritance" never lets its readers forget they are reading a well-crafted novel, and as a well-crafted novel, it fully satisfies." --"The Boston Globe"
"This marvelous novel is a mix of heartache and history. . . . Think of Anne Tyler and Tom Wolfe, both." --Victor LaValle, author of "The Devil in Silver"
"Hershon artfully guides us through the lives of Ed and Hugh, college buddies who meet at Harvard in the '60s, shifting between their perspectives through adulthood to detail their lingering impact on one another's lives in such a way that it'll make you take a second look at all of your relationships." --"GQ"
"Let this story of two Harvard men's unexpected friendship and its sudden end transport you through time (beginning on Harvard's campus in 1962) and place." --"The Huffington Post"
"A richly composed . . . portrait of familial gravity and the wobbly orbits that bring us together again and again." --"Kirkus Reviews"
"This thought-provoking generational tale is a heartfelt and beautiful story of an unlikely friendship that fades at times, but never seems to go away." --"Long Island Press. Joanna Hershon is the author of "The German Bride, The Outside of August, " and "Swimming." She has received fellowships from Bread Loaf Writers' Conference and the Edward Albee Foundation. An adjunct assistant professor in the creative writing department at Columbia University, she lives in Brooklyn with her husband, the painter Derek Buckner, and their twin sons.